This past weekend, I worked the Just Crop Retreat again. It’s so much fun seeing crafty friends at these retreats. Although sometimes it is a challenge to show them something they haven’t seen before. 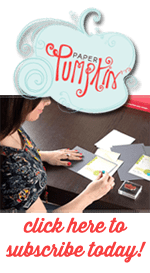 Thank goodness Stampin Up is always coming out with something new. 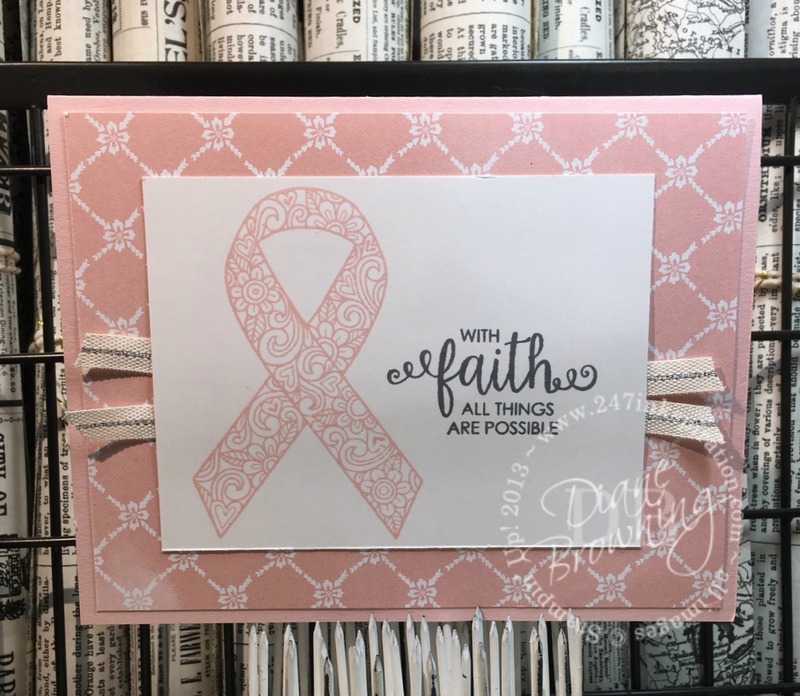 One of my Make & Takes used the brand new stamp set, Ribbon of Courage. The stamp set includes two different choices of Ribbon: one is a solid ribbon and the second is the floral ribbon that I used. The Ribbon has become the symbol for so many different illnesses or a show of support for different groups. One great thing about this stamp set is the sentiments included. None of them mention a specific illness or affiliation, which allows you to use them for anything. And I love the encouraging words. I think we can all use some encouraging words every now and then.